Pretty much everyone agrees that mosquitoes are pretty terrible. 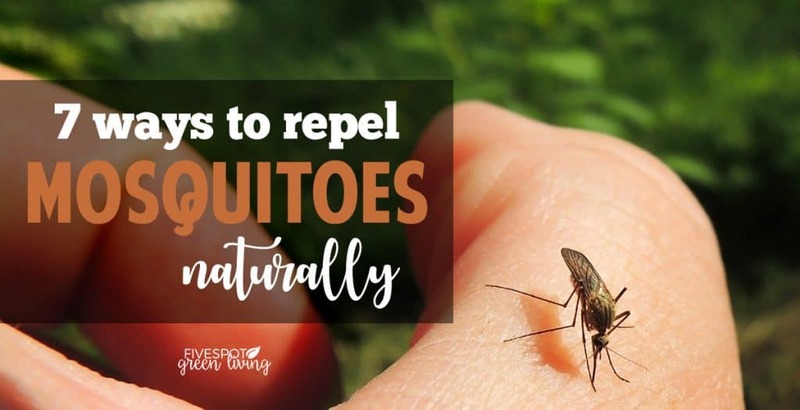 There are actually several chemical-free natural pest control ways to keep them away – try these options to repel mosquitoes naturally! While they have their place in nature, and I’m sure serve some important natural function, from most people’s points of view they’re just annoying. Some mosquitoes are even dangerous, as they can carry horrible diseases. But don’t think that you have to resort to chemicals to protect your family from mosquitoes. Here are some great ways to repel mosquitoes naturally. 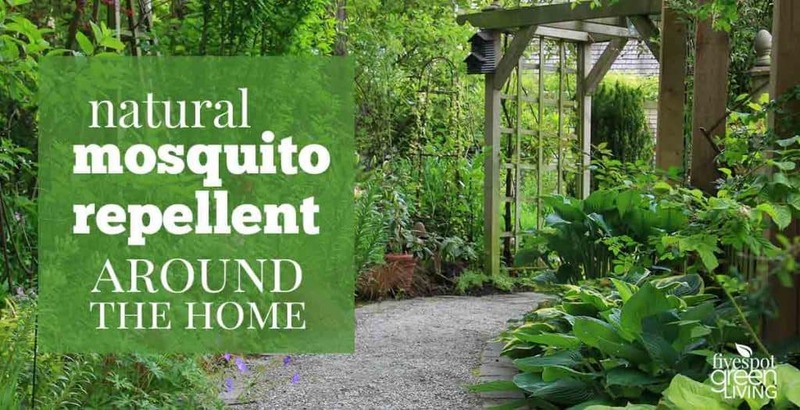 One of the best natural ways to repel mosquitoes is to plant natural mosquito repellent plants! These plants tend to have scents that mosquitoes hate, but you may actually love. Some great mosquito repellent plants are lavender, citronella geranium (a kind of geranium that smells like citronella), regular citronella grass, peppermint, rosemary, marigolds, catnip, and basil. You can choose to plant these around your lawn to try to keep mosquitoes away, or put them in pots that you can drag near to you when you’re outside. Want to learn more about The Best Wasp Repellent Plants? Mosquitoes aren’t good at flying in high wind. So if you set up fans near where you’re sitting outside, they’ll have a hard time reaching you. Set up enough fans, or use a couple of oscillating fans, and you’ll easily create a mosquito free zone! If you want to be invisible to mosquitoes, then the last thing you should do is wear something with a strong scent that they like! Just as some of the plants mentioned above have scents that can repel mosquitoes, there are also some scents that can attract mosquitoes. In particular, you’ll want to avoid wearing anything with a floral scent, whether that scent comes from a perfume or lotion. 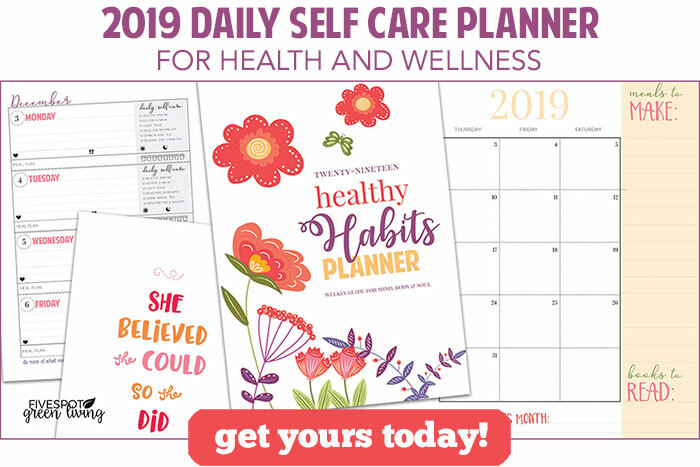 Instead, you may want to try making your own DIY lavender perfume or DIY citronella spray for a DEET free, all-natural bug spray. 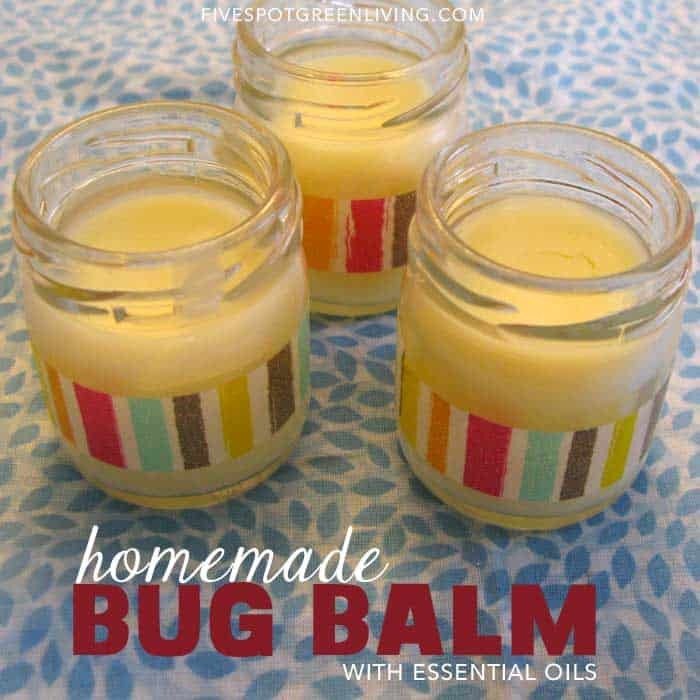 You can even blend several scents together (like citronella + lavender + rosemary) for a scent that’s repellent to mosquitoes, but that smells nice to people. Like the little vampires that they are, mosquitoes hate garlic. So one of the most effective natural ways to repel mosquitoes is to spray garlic around your yard. To make this garlic spray, break a bulb of garlic into several cloves. Peel those, then put them in a blender/food processor with enough water to fill the machine 1/2 way. Run the blender until you have a nice garlicky mixture. You then need to strain this mixture with a sieve or cheesecloth so that the garlic water goes into a cup and the garlic chunks stay behind. Pour the garlic water into a gallon water jug, then fill the rest of the jug with water. Keep this in your fridge or pantry and use it to fill a spray bottle. Then spray your yard down! This is safe to use on/near plants as it’s also a natural insecticide and fungicide. It will also repel some animals (like mice and rabbits). Your household pets may not like the smell, though. And you’ll want to keep them away from the mixture as garlic is toxic to both cats and dogs. As mentioned earlier, mosquitoes love stagnant water. 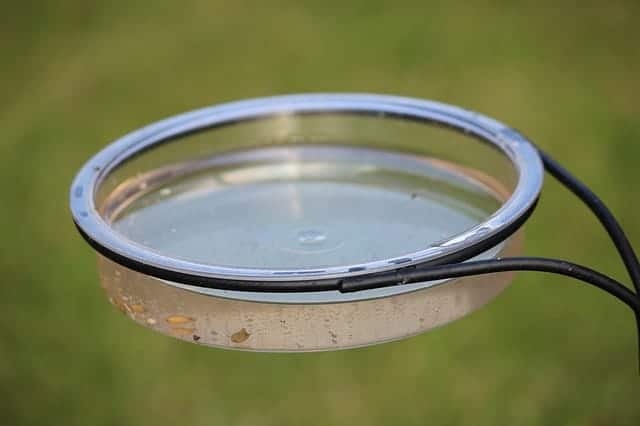 So if you have any in your yard, even if it’s in a decorative birdbath or fountain, you might want to get rid of it until the mosquitoes aren’t so prevalent. If you can’t/don’t want to remove the standing water for some reason, you can put coffee grounds in the water. This will kill any mosquito larvae in the water. Another one of the most effective natural ways to repel mosquitoes is to bring in natural mosquito predators. You should focus on attracting both predators that eat adult mosquitoes, and predators that eat mosquito larvae. Dragonfly nymphs (baby dragonflies that live in water) and fish love to eat mosquito larvae. 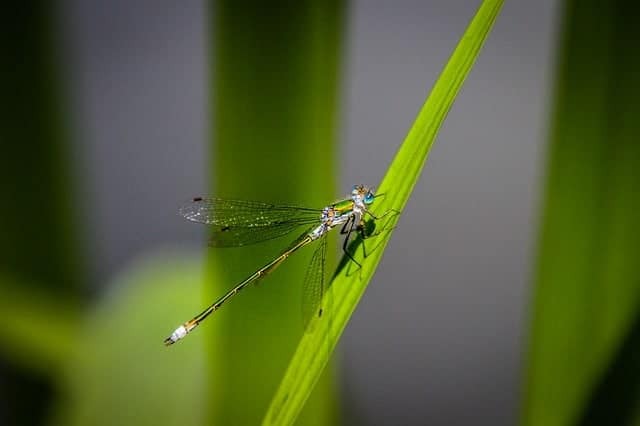 To get rid of adult mosquitoes, try to attract adult dragonflies, bats, and birds (purple martins and swallows are particularly good at catching them). Did you know that while mosquitoes love light, they prefer certain colors of light? They seem to prefer cooler blue/violet colored lights. Red and yellow lights aren’t as interesting to them. If you have CFLs outside, they’ll likely be emitting violet wavelength light (even if it doesn’t look purple to you), and many LEDs are an obvious blue color. But you can buy lights that are designed to be less attractive to bugs. You can find LED yellow bug lights that work pretty well. Not only are they not an attractive color, but they also don’t give off as much heat as traditional bulbs (which is good, because mosquitoes also love heat). You can also buy red and yellow CFLs, though CFLs tend to give off a bit more heat than LEDs. If you’re tired of being attacked by mosquitoes the minute you step by a light outdoors, changing your bulbs out to different colored ones could make a big difference! So as you can see, there are a lot of different ways to repel mosquitoes naturally, and none of these use any chemicals! I’m definitely going to try a couple of these! Great ideas! I need to try a few of these for sure. I am like a bug magnet and even insect sprays/ citronella candles seem to do nothing to prevent mosquito bites but I am willing to try garlic spray and planting repellent plants. Pinned. Thanks for the useful article with great tips. It will be of great help. 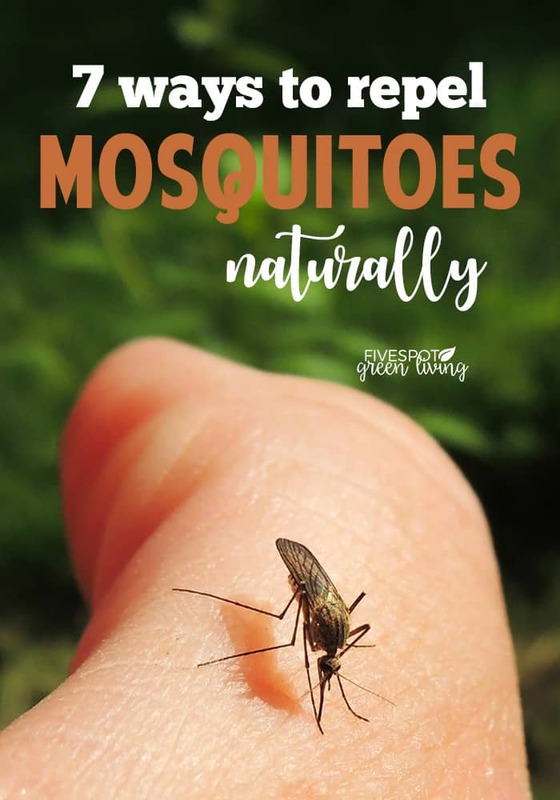 Great ideas to try to keep mosquitoes away naturally. We have SO MANY mosquitoes around here! Thanks for these tips; I’ll have to try them.